Since its foundation in 2002, Round Hill Capital has become a market leader in the real estate accommodation sector – offering a fully integrated investment, development and management approach alongside venture capital for early stage, high growth property technology companies. Hillbreak was engaged by Round Hill Capital to develop an Environment, Social and Governance (ESG) Strategy to help to underpin its corporate and investment management activities. 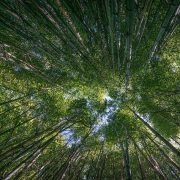 Working with Round Hill Capital’s Executive Committee and a Company-wide Steering Group, we undertook in depth analysis to identify opportunities for a compelling ESG strategy that aligns with the Company’s pioneering, macro-driven and nimble approach to business. Extensive internal surveying and dialogue was a key part of our approach, to further engage collaboratively with employees and decision-makers in the process of determining the core areas of focus for the ESG Strategy. We found significant appetite for Round Hill Capital to formalise a comprehensive and proactive approach to responsible property investment that aligns with investor objectives and supports financial returns and which also, notably, embraces key ESG impact themes emerging within the market. 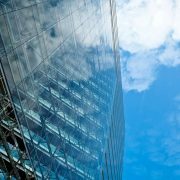 Examination of the Company’s current activity revealed several examples of strong ESG-related business practices, which presented a clear opportunity to build on the existing internal culture to more consistently integrate ESG considerations into the investment process and development and asset management practices. A focus on Round Hill’s core strengths of innovation, flexibility and proactivity – the Strategy highlights positive ESG impact, first mover advantage and stakeholder engagement as key features within its overarching business objectives. Highlighting integrity alongside innovation, ensuring an underpinning of consistent standards and a continual drive to take account of ESG impacts, risks and opportunities in all business activities. 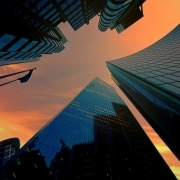 A structure for embedding ESG more formally into the real estate investment process. 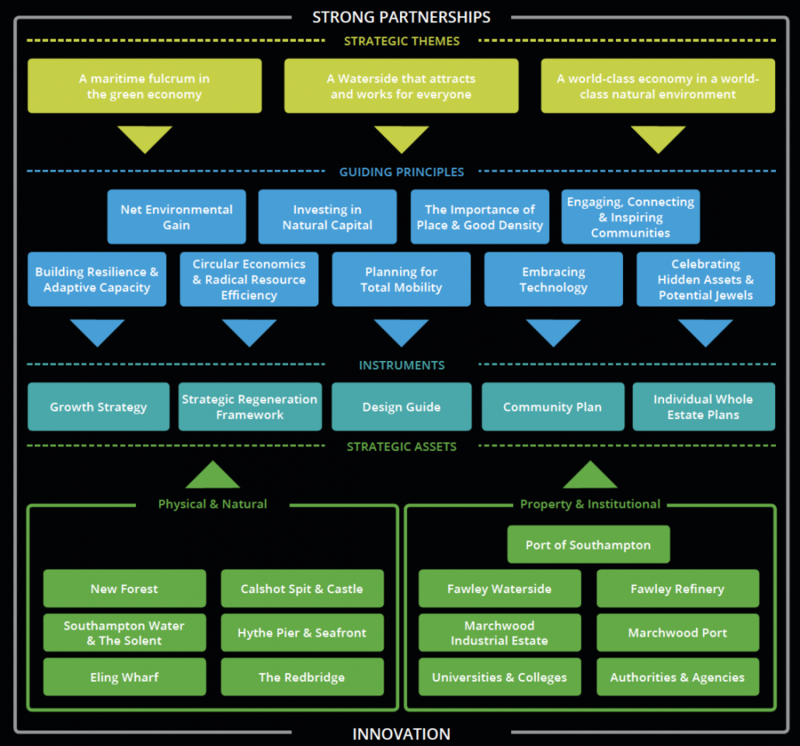 A suite of decision-making tools and best practice resources are currently being developed. Prioritisation of internal capacity building and reporting capability, including systematic internal training, the development of ESG requirements for operating partners, and extension of investor and external reporting to include ESG performance. The ESG Strategy combines strong foundations with the flexibility for Round Hill to capitalise on its strengths and take a positive, opportunistic and responsible approach to ESG. Implementation will be led by a newly established ESG Committee, to which Jon Lovell, co-founder of Hillbreak, has been appointed as an independent member. 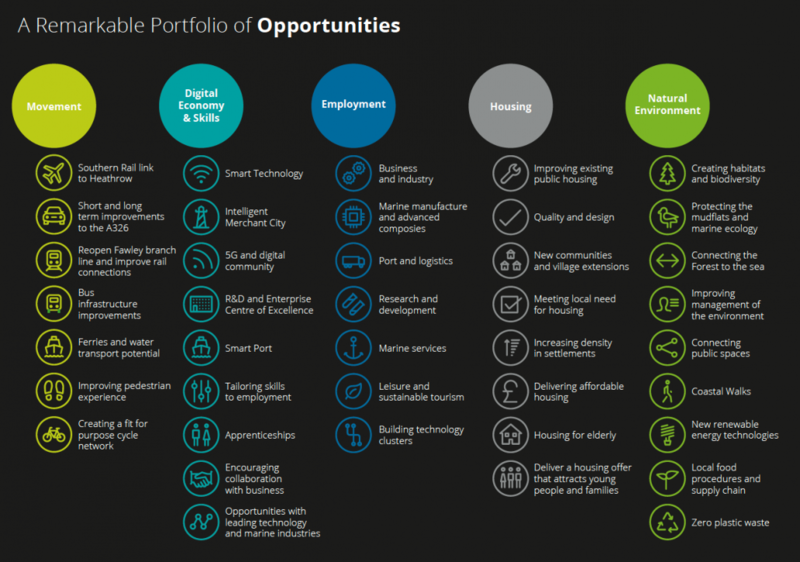 Hillbreak provides training and strategic advisory services for organisations seeking purpose and competitive advantage in a changing urban world. Its mission is to expedite the transition to a sustainable policy, business and investment environment by bringing intelligence, challenge and inspiration to its clients and stakeholders. Round Hill Capital is a leading global real estate investment, development and asset management firm. Since inception in 2002, Round Hill Capital has acquired and repositioned for long-term institutional ownership over 110,000 residential units and student housing beds. Round Hill is a responsible landlord of assets offering housing to a range of occupants, from students through to senior citizens. Round Hill Capital has an established track record of generating high risk-adjusted returns and invests in and asset manages real estate on behalf of some of the world’s leading institutions and private investors. 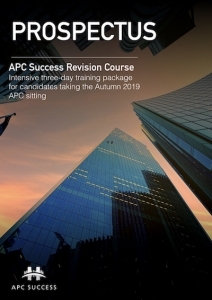 Places are now available for our popular three-day intensive course, available for APC candidates working in real estate organisations and surveying firms on the Commercial, Residential, Property Finance & Investment and Planning & Development pathways. All groups run on different dates, but all cover the same content over three full days of highly-interactive sessions taking place in Marylebone, London. The syllabus will be delivered in two stages: APC Preparation & Revision Planning in May 2019, followed by two further APC Revision days in August and October. Courses will be delivered by Miles Keeping MRICS, who is an APC Assessor as well as an experienced APC trainer. Each group will consist of up to 15 delegates whom we encourage to work together to benefit from collaborative working and mutual support. Additional, ongoing, out-of-session support will also be provided via private social media groups and email. Places are limited and available on a first-come, first-served basis. Our past 4 cycles of courses have all sold out, so candidates are urged to register sooner rather than later to avoid disappointment. To book, please select your preferred group of training dates from the options below; it is important that you stay within the same Group throughout the course in order to benefit from cohort and ongoing social media support. For more information, download our prospectus by clicking the image below, or email enquiries@apcsuccess.co.uk. Hillbreak co-Founder, Jon Lovell, will appear at the forthcoming Flourish International event in Manchester on Unconscious Gender Bias: Changing Behaviours in the Workplace. Flourish aims to help organisations deliver effective gender equality initiatives and has been looking into the role that unconscious gender bias plays in slowing progress. The event will feature talks on research findings, panel discussion and Q&A with the audience and is open to any individual interested in gender equality including directors, HR and other professionals from both public and private sector organisations. 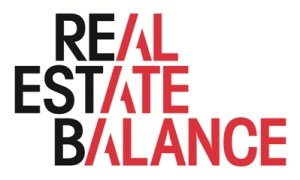 Together with fellow co-Founder, Miles Keeping, Jon was recently appointed as a Senior Advocate Member of Real Estate Balance, an association focussed on addressing the gender imbalance in the sector. More information detailing Hillbreak’s endeavour to tackle under-representation, unconscious bias, gender-imbalance and lack of diversity within the property sector can be found in Jon’s recent article, Pushing for balance. The panel will also feature Lorna Kerr – HR Director of Co-op’s Insurance, Natasha Crook –Talent Acquisition Team leader in North Europe for adidas, and Rishi Jain – Manchester United Football Club’s Equality & Inclusion Manager. Flourish hopes the event will provide insights, opportunities for discussion, networking and an overall understanding that gender equality requires a fundamental shift in perspectives – and that there are steps that can be taken to achieve this. The property sector is unfortunately known for falling short of where it should be on the issues of equality and inclusion. However, progress is being made; last week FreeholdLGBT won the Outstanding Contribution award at the EG Awards 2018, a clear indicator that efforts to diversify the workforce and challenge discrimination within the industry are not only being made, but applauded and rewarded. There is, however, still much work to be done. Tickets for Unconscious Gender Bias: Changing Behaviours in the Workplace can be bought here. 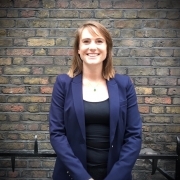 Hillbreak is delighted to announce the appointment of Lucy Matchett as a senior consultant, specialising in stakeholder engagement, corporate sustainability strategy and client learning programmes. Lucy is a highly respected figure in the property sector, having helped drive the successful Grosvenor Living Cities philosophy into one of the world’s largest privately owned property companies during her five years with the business. Her outstanding international network, which further strengthens Hillbreak’s capacity to deliver impact through advice and training to global real estate institutions, is enhanced by her long-standing involvement in the Urban Land Institute as a stand-out Young Leader. 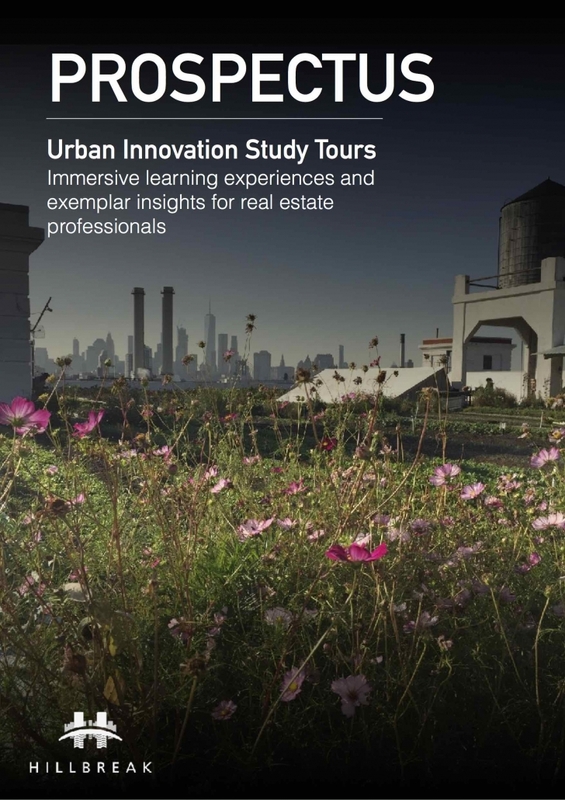 In addition to developing the Living Cities strategy for Grosvenor, which is active in 60 global cities, she was also responsible for an impact assessment for over 130,000 acres of land. As the coordinator of the Grosvenor Liaison Group, she led numerous global conferences and events focused on advancing sustainable development and responsible investment throughout all parts of the business. Lucy’s professional interests centre on creating a resilient, successful future for the built and natural environment. She is a Chartered Environmentalist, a Fellow of the Royal Society of Arts and a member of two Urban Land Institute Sustainability Councils, having sat on both the UK and European Committees. Lucy will play an important role in managing Hillbreak’s portfolio of strategic advisory engagements for UK and international property companies and investment managers. She will also lead the development of new services focused on knowledge integration through place-based learning experiences. The ideal milestone for Hillbreak to reflect on past progress and the scale of the challenge ahead. It’s three years to the day since Hillbreak began active trading. Perhaps that seems trivial? It is, after all, a blink of an eye. Yet for us, those three years have marked an extraordinary transition. When we set out in 2015, the notion that we’d be asked by some of the world’s marquee real estate organisations to help them navigate their way in a fast-changing world seemed ambitious to say the least. Now, we’re at risk of complacency by thinking it routine. Sure, it’s been three years of hard work to execute our mission: to expedite the transition to a sustainable policy, business and investment environment by bringing intelligence, challenge and inspiration to our clients and stakeholders. 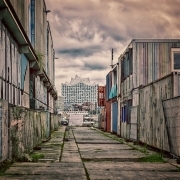 During that time though, we’ve seen a market begin to transform, with the UN Principles of Responsible Investment moving firmly into the mainstream and the Sustainable Development Goals, amongst other frameworks, capturing corporate and institutional attention (if not always true imagination). The market seems to have come a long way in that relatively short time. It feels – anecdotally and with some empirical indication – that stronger, smarter and altogether more ambitious attitudes to Environmental, Social & Corporate Governance matters have taken root in the conscience of our industry. It would be all-too-easy, when caught in this positive ESG bubble, to think that the future is bright and that we’re collectively beginning to find the track to resolving many of the big global problems. A nice thought, but not one to get carried away with. The true reason that 1 August 2018 is significant provides a far more sobering barometer of how things stand. As well as being a Hillbreak anniversary, today is #EarthOvershootDay: the date when humanity has used more from nature than the planet can renew in the entire year. Our annual ecological budget has been exhausted, and we’re only seven months in. What’s more, we’ve never reached this milestone so early in the calendar. The rate at which we are overharvesting and polluting continues to get greater. Think of it in banking and financial accounting terms. In this case, the capital held and accounted for is natural capital, rather than financial. Sustainability comes when we are able to live off of the interest generated by the capital held. In reality, we are consistently drawing down on the capital meaning that we are left with less at the end of the accounting year than we had at the beginning. That means less interest being generated in each subsequent year too. We are increasing the deficit year-on-year by liquidating stocks of ecological resources and accumulating waste (primarily carbon dioxide in the atmosphere) at an ever-faster rate. It’s a loss-making enterprise and investment is insufficient to secure a break-even future, let alone a profitable one. Of all of the indicators concerning the health of our economy/society/planet, this is perhaps the most fundamental and inescapable. Yet, despite the fact that human life and the economy are inextricably reliant on the ecosystem services provided by natural capital, it is a fact that seems all-too-convenient for many economists, executives and politicians to ignore. This is primarily because financial and political returns are measured (in the main) on quarterly bases and electoral cycles respectively. These competitively motivated, short-term fixations tempt us to disregard the long-term security of our shared capital. 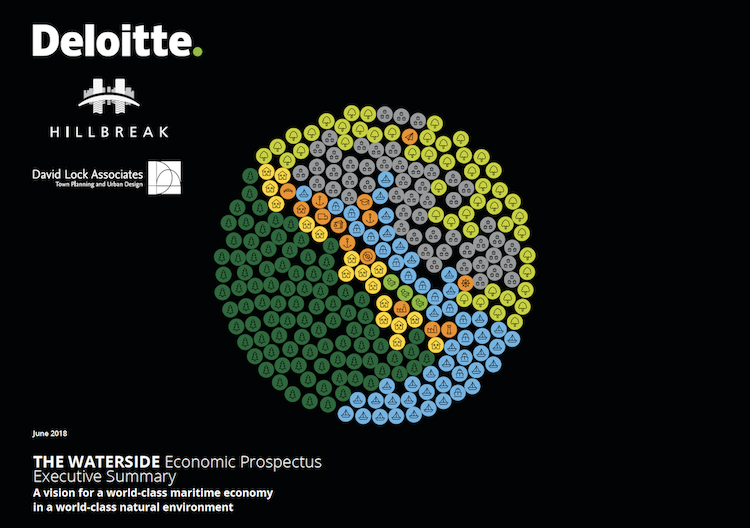 So, whilst responsible investment trends are advancing, true sustainability still seems a remote prospect. Happy Anniversary, Hillbreak. Now drink up, we’ve got a lot of work to do! 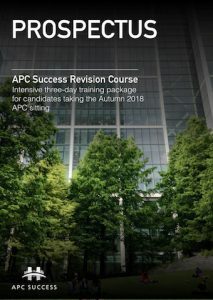 Following the sell-out of our Autumn 2018 APC Success courses, we have added a further series of course dates, staring in June. These are also selling really quickly, so don’t delay in booking your place if you want to secure one. This popular three-day intensive course is available for APC candidates working in real estate organisations and surveying firms on the Commercial, Residential, Property Finance & Investment and Planning & Development pathways. Our highly-interactive sessions take place in Marylebone, London and the syllabus is delivered in two stages: APC Preparation & Revision Planning on 25 June, followed by two further APC Revision days on 20 August and 17 September. Courses will be delivered by Miles Keeping MRICS, who is an APC Assessor as well as an experienced APC trainer. Each group will consist of up to 15 delegates whom we encourage to work together to benefit from collaborative working and mutual support. Additional, ongoing, out-of-session support will also be provided via private social media groups and email. If you would like to register your interest for future courses (Spring 2019 sittings and onwards), please email Timia@apcsuccess.co.uk including your name, contact details and when you’re hoping to sit your APC. Hillbreak may lack the scale of the real estate industry’s larger firms and companies, but we’ve never shied away from throwing our modest weight behind the issues that really matter. Perhaps one of the most defining for our sector at this time is that relating to under-representation; few would deny – even today – that performance on equality and inclusion falls far short of where it should be. Quite frankly, we’re often embarrassed by association. We can all point out the infamous occasion in which the shocking conduct at the President’s Club Dinner was exposed in the public eye, but there is an all-too insidious pattern of behaviour within our industry which comes to prominence at major events, such as MIPIM, and is often lurking beneath the surface in the day-to-day workplace. There have been occasions when Miles or I have had to intervene when lines have been crossed in the business environment, but if we’re honest, we’ve not done enough to stand up to the weak attitudes and the poor behaviours that continue to dog our industry. On paper, and recognising that this is in part a reaction to bad publicity and exposure, some progress has been made recently by organisations and industry bodies. Some of this is genuine and welcome; some is superficial and still needs to be challenged. The continued lack of diversity in our sector is one of the most serious impediments to it achieving its full potential. 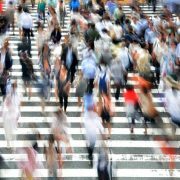 The persistence of conscious and unconscious bias in recruitment, opportunity, flexibility and reward, means that the real estate industry is missing out; it diminishes our ability to attract and retain some of the best talent, it means that decisions taken by leadership teams are suboptimal, and it prevents those in minorities from bringing their full selves to the table. We have been particularly encouraged to see a number of organisations and initiatives spring up which attempt to tackle these issues. 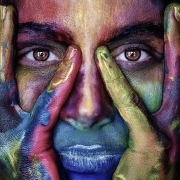 Several seek to promote the value that the LGBT+ community brings to property and the built environment – examples include Freehold, PlanningOut and Offsite. There are others which seek to raise awareness and an atmosphere of support for those battling mental health problems; the RICS charity, Lionheart, for instance has had a particular focus on this lately, complemented the John O’Halloran Initiative. 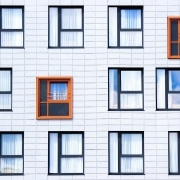 Although by no means the full equality and inclusion story, the question of gender balance – especially in real estate leadership roles – has received a great deal of public attention of late. Whilst sector-agnostic efforts such as those of the 30% Club, members of which are advocates of the Hampton-Alexander recommendations for female representation on FTSE350 Boards, are really significant, our industry also needs its own spotlights. Real Estate Balance has gained considerable support and membership from a reasonable number of organisations and firms (more are needed) and we were both humbled recently to be accepted as Senior Advocate Members for the network. We call out and challenge inappropriate behaviour when we see it and follow it up when required, including offering support to those affected. We always seek to ensure that we work with, including through our network of associates, a balanced pool of diverse individuals. We advocate consistently when attending and speaking at industry events, and we exercise and promote our policy of not appearing on panels or speaker platforms which do not feature women, and we push and provide active support to organisers to adopt a balanced approach to panel selection (including by referring them to the excellent WomenTalkRE resource). We challenge, advise and support the Boards, Executive Committees and other leadership teams of client organisations on matters relating to diversity and inclusion, including in relation to formal corporate governance matters. We use social media platforms to promote and support for diversity and inclusion matters and initiatives. We take active steps to promote gender balance on the industry body leadership groups on which we sit. We give our time and energy as Trustees and Board members of national and international disability charities. Hillbreak is proud to have become a partner of the brilliant City of Trees movement in Greater Manchester, an innovative and exciting initiative that is set to re-invigorate the urban landscape by restoring underused, unloved woodland and planting a tree for every man, woman and child that lives in the City Region, within a generation. It is difficult to overstate the importance of abundant, healthy trees and woodlands in the urban environment. They provide an essential, cost-effective contribution to liveability, improved public health, economic competitiveness and greater inward investment appeal. 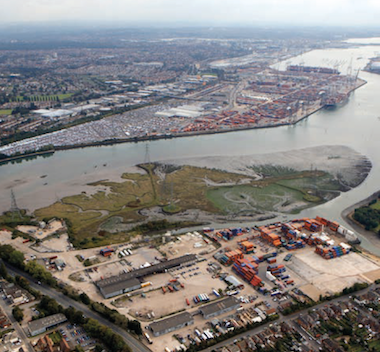 They have a major role to play in tackling issues such as poor air quality and the effects of climate change, whilst bringing an array of economic benefits, including supporting property values. 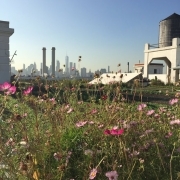 With urban populations around the world continuing to burgeon, and at a time when city leaders, businesses, investors and the public are becoming ever more aware of the environmental pressures facing communities, economies and the built environment, the case for investing in urban green infrastructure has never been greater. In addition to joining the growing network of private sector partners, notable for its many property developers and owners, Hillbreak Director, Jon Lovell, will also join a small Executive Advisory Group, providing advice and challenge to the City of Trees team and its wider network of partners.